Most films contain more than one storyline. 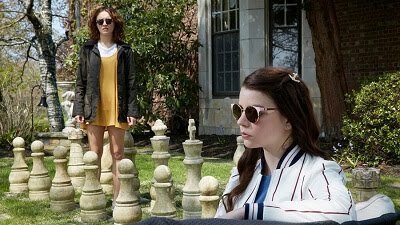 At the very least, there may be multiple characters, all of whom play a central role and whose individual plotlines diverge as the film progresses, likely ultimately culminating towards the end of the film when everything comes together. In those cases, it’s fair to assume that one part or element may be stronger than the others, and it could even be that the film as a whole might have been better had it focused solely or more intensively on its more compelling assets. Captain Stefan Brandt (Jai Courtney) is a Nazi officer who, after an unexplained incident, is transferred to Holland to serve as the head of the guard for the exiled former ruler of Germany, Kaiser Wilhelm II (Christopher Plummer). While there, Brandt meets Wilhelm’s wife Hermine (Janet McTeer), who is eager to see her husband returned to the throne, Colonel Sigurd von Ilsemann (Ben Daniels), Wilhelm’s loyal aide, and Mieke de Jong (Lily James), a newly hired maid. As Brandt builds a close but forbidden relationship with Mieke, he is tasked with finding the spy operating within Wilhelm’s complex, an assignment that proves to be more difficult than expected when he discovers the spy’s identity. The Nazi captain’s affair with the maid who harbors secrets takes center stage in the film’s setup and even serves as the reason for its title - Brandt is the exception, a good man who wears the Nazi uniform. Yet that love story with all of its complexities isn’t what makes this film appealing. Instead, it’s the spotlighting of a deposed ruler, one who has been in exile for so long that he is no longer used to communication with the outside world, let alone a regime which punishes negative language about its commanders or policies with unforgiving efficiency. To see how Wilhelm operates and how he interacts on a daily basis with his inner circle and with visitors is immensely interesting. Plummer, who won an Oscar in 2011 for “Beginners” and is now eighty-seven years old, received a well-deserved standing ovation and plenty of respect at the U.S. premiere of this film at Tribeca. His turn as Wilhelm is full of emotion and intensity, and it’s wonderful to see that Plummer shows no signs of slowing down this decade. McTeer and Daniels provide ample support, with Courtney and James doing their best to steer a less-than-enthralling subplot mistaken for the main focus of this film. 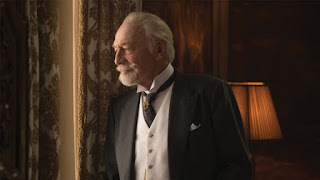 This film, best described as a fictional historical drama, will be most remembered for Plummer’s performance and the strength of the character he portrays.